Bangkok Post reports that Thailand's Dictator General Prayuth Chan-ocha appointed Sonthaya Kunploem as adviser to the Prime Minister and Itthiphol Kunploem as assistant to the Tourist and Sports Minister. 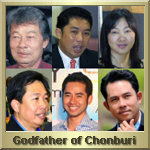 The two are sons of Somchai Kunploem, the Godfather of Chon Buri. 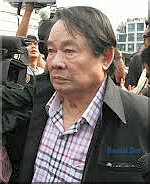 Somchai Kunploem has served as one of the leading figures in Thailand's political and criminal spheres. 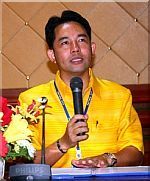 Ittipol Kunplome, an influential Chon Buri politician, a former Mayor of Pattaya and the son of Somchai Khunploem, the Godfather of Chonburi and a convicted gangster, suffered a shock defeat at the hands of a lesser-known Future Forward Party candidate. Please read The Legacy of Mayor Itthiphol Khunplome too! Bangkok Post reports that a Bangkok school director has been expelled for taking bribe. He was hit with the most severe disciplinary penalty for having received 400'000 Baht in exchange for admitting a student to Mathayom 1 (grade 7): He loses all pension and welfare benefits. The case is just the tip of an iceberg. Corruption is omnipresent in Thailand's education system. It even starts in kindergartens and reaches its peak at the country's Universities. Did you ever expect anything else from a Military Junta? Social media report that the Election Commission already spoiled about 1.7 million of invalid ballots around the country. In a Sukhothai constituency there was about 200 percent turnout. Total ballots count were also larger than those present for voting in Nakhon Sawan and Korat. Bangkok Post reports that Vote-buying was rampant on the eve of Sunday's general election. 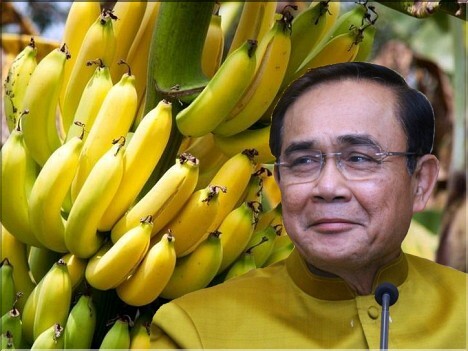 The democratic camp can win the House, but cannot choose the Prime Minister, while the pro-junta camp can choose the Prime Minister but cannot pass legislation through the House. 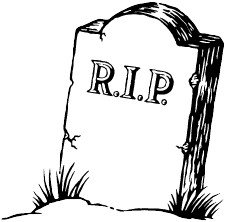 Only one casualty for the democratic camp, and Thailand will be under a disguised military dictatorship for the next four years. The current 'independent' Election Commission was appointed August 12th, 2018, by Thailand's coup leader and Dictator Prayuth Chan-ocha. It's a tightrope for Thanathorn - and everyone: An Attempt to disqualify a fast-rising star from political office for a minor oversight, or through fault-finding or even straightforward persecution, is an outrage. Is the Army already preparing the next Coup d'état?